Think of cotton production in the nineteenth century and Lancashire springs to mind. 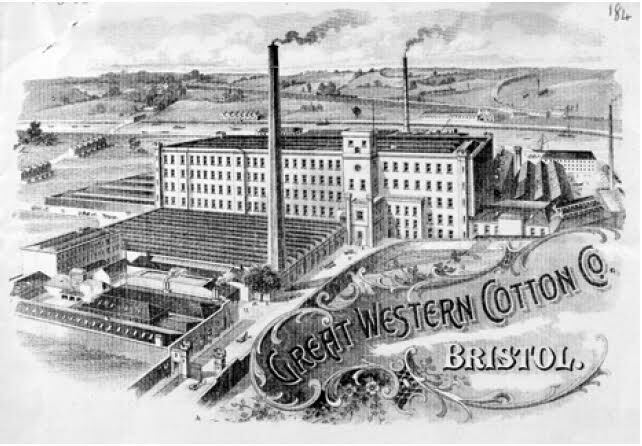 Yet Bristol’s Great Western Cotton Works, founded in 1838, partly with capital derived from the compensation handed out to slave-holders after abolition in 1833, was soon equal in size to some of Manchester’s largest mills. The labour force were mainly local children and young adults, including many girls under eighteen who were employed in both spinning and weaving. However, some skilled men from Lancashire were brought in to run the automatic mule spinning machines. From the start the workforce was divided and the majority extremely vulnerable. The 1830s was a stormy decade in Bristol. In 1831 Bristolians had rioted over the franchise and Chartists were active in the city during the late 1830s. In 1839 the rebellious spirit erupted among workmen at the Great Western Cotton Works who were dismissed because they resisted exorbitant fines for lateness. Following a public campaign to have the men reinstated the Company reversed its decision. No formal organisation existed at the cotton works, but in the early 1840s there were further instances of men and boys taking direct action. Thirteen of them were brought before the magistrates for deserting their work on 9 October 1843. The penalty could be three months imprisonment, but the Bristol Times and Mirror reported on 14 October that their employers accepted their promise to ‘return to their duties’. Local newspapers provide a valuable historical source on resistance and control in Bristol’s cotton factory. Similarly the newspapers record the terrible accidents that occurred. Lacerated limbs and fractured skulls resulted in permanent disability and sometimes death — the hidden injuries of class mentioned in passing in newspaper reports over the decades. Because of our twenty-first-century technology of digitalized newspapers it is now possible to track these down far more quickly than it would have been in the past. Vital evidence can also, of course, be gleaned from the extensive records of the Factory Acts. On the whole the company received light penalties for breaches of regulations, but the existence of the Acts makes it possible to chart the illegal tactics they adopted through court cases brought against them. Moreover, it shows how workers, as well as taking direct action, also took their grievances to court in defiance of the legal bias against them. By the beginning of the 1850s women and girls at Bristol’s cotton works were showing signs of rebellion. When inferior cotton thread broke they were penalised; they responded by smuggling it out of the factory. In March 1852 the company began searching women and girls as they left, making them file out slowly through a narrow gate. Resentfully, around 600 women and children stopped work. Upon finding they were shut in, they angrily smashed windows and demanded that the main gates be opened. The manager, John Ashworth, guarded by two dogs, lashed out with a swordstick and turned the hoses of the works’ fire engine on them. The women panicked and rushed to the half–open door whereupon many were trampled. Local people came to their defence. Once the door was forcibly opened they, too, began throwing stones and Ashworth was struck. A local police constable turned up, but faced with uproar refused to intervene. Emma Williams, who had been hit, knocked down and kicked by Ashworth, was one of four workers who brought a case against him. Between 2,000 and 3,000 people, including several hundred women cotton workers, turned up outside the Council House for the court hearing. After a five-hour wait they cheered as he was found guilty of assault, though the fine of £5 was seen as derisory. Over the course of the next two decades this pattern of underground resistance and spasmodic rebellion continued despite the lack any structured organisation. From the summer of 1869 depression brought desperate times and a series of strikes, but it was not until the late 1880s when new unionism reached Bristol that the 1,700 cotton workers, predominately women, were to be unionised. By this time trade was improving and they demanded the restoration of pay they had lost during the lean years. Local socialists gave their support and the cotton workers joined the Gasworkers and General Labourers’ Trade Union, which, partly thanks to Eleanor Marx, supported women’s membership and equality. The low paid women do not seem to have been able to sustain their union membership, yet informal resistance continued, giving the lie to their supposed passivity. In 1913 the issue of sub-standard yarn led to another strike and Mary Macarthur recruited the women into the National Federation of Women Workers. Flitting through the local newspapers and legal records, names indicate the lost histories of thousands of Bristol workers whose conditions and consciousness would otherwise have gone unremarked upon. It is possible to trace their actions and listen to their voices by extending institutional forms of labour history and digging under the surface of an official ‘business’ history that is apt to gloss over the human cost of profitability. The Maltreated and the Malcontents: Working in the Great Western Cotton Factory 1838-1914 (139 pages) is number 37 in the pamphlets published by Bristol Radical History Group which have been making local history from below available for several years. They find readers from the left, from trade unions and from working-class communities, spreading far beyond Bristol and reaching relatives as far away as Australia. To obtain this and other pamphlets and books visit the Bristol Radical History Group’s Bristol Radical Pamphleteer. Mike Richardson worked in many manual and office jobs in Bristol before studying the history of industrial relations in the British printing industry between the wars. He has written widely on contemporary labour relations. 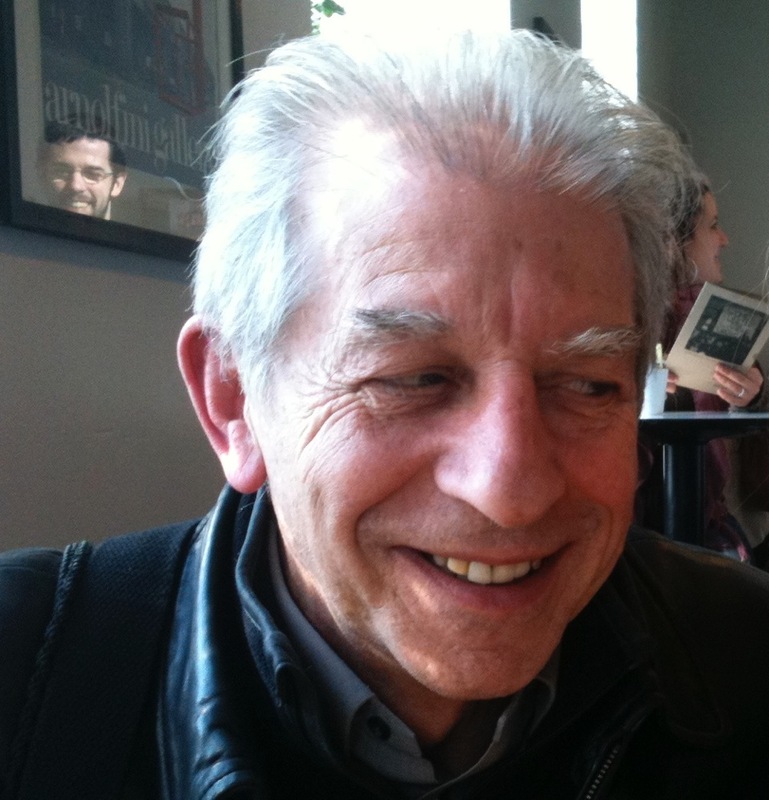 Since retiring from the University of the West of England he has written several pamphlets for the Bristol Radical History Group. His most recent work, due to be published in August 2016, is a biography of a gay socialist entitled The Enigma of Hugh Holmes Gore: Bristol’s Nineteenth Century Christian Socialist Solicitor. Tags: Bristol Cotton Workers Factory Acts Strikes Trade Unions Women's Resistance.